About 1,000 Floridians have filed complaints in recent months against the top lenders who pledged earlier this year to work with "underwater" homeowners as part of a national legal settlement of unscrupulous lending practices. A multistate deal hatched by state and federal leaders in February was supposed to force the country's five largest lenders to lower interest rates, reduce principal or even offer cash to struggling mortgage customers. But the fine print has left many customers of those lending giants frustrated. The breakdown of the Florida complaints filed against the five lenders who participated in the settlement: Bank of America, 39 percent; Wells Fargo, 28 percent; JPMorgan Chase, 20 percent; Citi, 9 percent; and Ally/GMAC, 4 percent, according to records supplied to the Orlando Sentinel by the Florida Attorney General's Office. One of the complainants is Eric Larson, owner of a downtown Orlando condominium, who objects to the settlement not requiring a bank to work with an "underwater" mortgage customer — one whose property is now worth less than the loan — unless the lender not only services the mortgage but also owns it. "We didn't know the stipulations in the settlement — the Wells Fargo 'protections' " Larson said. "In order to qualify for a refinance, the loan has to be owned and serviced by Wells. But none of these lenders own these loans — they securitized them. They make it sound like if you're current on your payments, they will refinance. It sounds really great, but in reality, it's not happening." A Wells Fargo spokeswoman said she did not know the specifics of Larson's loan and referred questions to a customer website. Larson, who has studied the settlement terms, said the problem is that Florida Attorney General Pam Bondi and the country's other state attorneys general allowed the banks to set aside only a relatively small pot of money to meet the enormous needs of customers who have been making all the payments on their underwater mortgages. Of the $8.4 billion in the settlement slated for Florida, for example, lenders are required to spend less than 4 percent to help that group of homeowners refinance their mortgages. "And if you look at how many people are underwater, that's basically a drop in the ocean," Larson said. "They don't have the money to cover the principal reductions, so the banks can't refi, and they aren't." In the four-county Orlando metropolitan area alone, more than a quarter-million houses are now worth less than their mortgages, according to a first-quarter report by CoreLogic Inc., a real-estate-research group. Complaints from about 1,000 Floridians have found their way to Bondi, who was a key player in the negotiations that occurred between the 49 attorneys general and the five lenders accused of processing illegal mortgage documents. When the settlement was announced in February, Bondi framed it as "substantial relief to struggling Florida homeowners" and a measure of accountability for the banks. Similarly, U.S. Department of Justice officials said the settlement would benefit homeowners throughout the country by leading to reduced mortgage principal and refinanced loans. To ensure that mortgage servicers comply with the agreement, Florida is represented on a monitoring committee that has been assigned to oversee the three-year settlement program, a spokeswoman for Bondi's office said. Settlement complaints can be directed through that group at mortgageoversight.com. We will continue to ensure compliance with the settlement, and we anticipate setting aside sums to cover the expense of any necessary follow-up, including investigations," an email sent from Bondi's office stated Friday. Critics of the settlement say compliance isn't the problem — the problem is that the deal itself does not do enough to help homeowners. "The settlement is a catastrophe," said Matt Stoller, a fellow at the New York-based Roosevelt Institute, who studied Central Florida's housing woes when he was a senior congressional adviser several years ago. "It was never supposed to fix anything for homeowners. It was just a political whitewash to protect the industry." 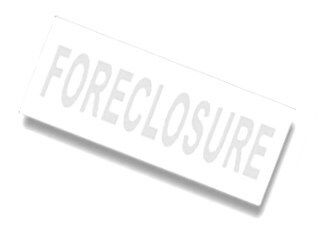 The big settlement numbers being bandied about — such as the $25 billion nationwide figure — consists mostly of credits the banks get if they do not pursue a deficiency judgment against a homeowner or if they donate a foreclosed house or even have it demolished, Stoller said. For Larson, even the way complaints are being handled is troublesome. Rather than the Florida Attorney General's Office actively intervening to ensure the lenders meet their obligations, the office forwards Floridians' complaints to the lenders for a response.